How to Protect Your Family by Controlling Insects - Yes Pest Pros, Inc. How to Protect Your Family by Controlling Insects - Yes Pest Pros, Inc. While some insects can merely be a nuisance, some can really cause serious health issues. For example, ticks can carry Lyme disease, which can be a serious and devastating illness, especially when untreated. Lyme disease can infect pets, you or your children. 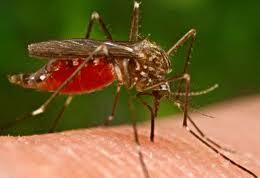 Mosquitoes in the Midwest are also known as harbingers of disease, including the West Nile Virus and Encephalitis. Although not common in Indiana, mosquitoes can also carry diseases like Malaria. Additionally, bees can be dangerous for those that are allergic to them, even resulting in death. Given the potential dangers posed by these and other insects, it is important to contact an Indiana pest exterminator anytime you encounter an infestation. While many people think of harmful chemicals when they think of an exterminator, there are companies dealing with pest control that use innovative and environmentally friendly pest control techniques. While it is not always possible to use these methods, especially when there is a particularly difficult colony to eradicate for example, it should be the first step in attempting to eliminate the problem. Bloomington pest control company, Young Environmental Solutions, will tell you that the best way to control insect problems is to not have the issue to begin with. This can mean doing simple things in the yard and around the house to prevent the problems from occurring. Such methods include eliminating standing water that will attract mosquitoes and not leaving open containers of food, which can attract ants or other insects, both inside and outside of the house. Once an exterminator has removed the problem, you should also follow the above suggestions to prevent the issue from recurring. There is nothing more frustrating than thinking that you have the problem solved, only to need exterminators to return to your home a second or third time because things that you have done have caused the insects to return. Protecting you and your family should be your top priority, so don’t hesitate to contact an exterminator should the need arise.